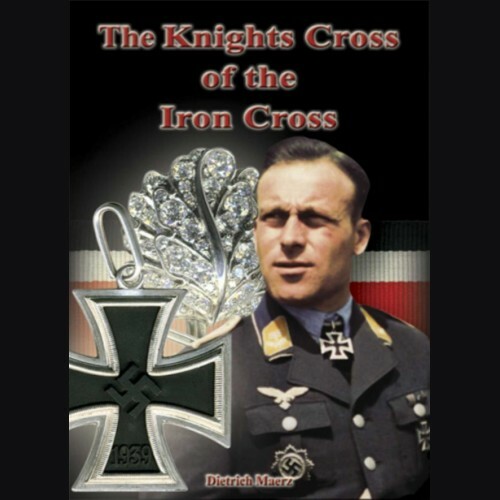 With The Knights Cross of the Iron Cross (and its higher grades) Dietrich Maerz takes military collecting reference works to an entirely new level. An engineer by trade, the author utilizes two major aspects of his profession - logic and attention to detail - to present the reader with a valuable and almost infallible reference volume. The combination of reason with the most detailed graphics ever presented in a militaria reference book make this volume a truly groundbreaking work. If you are considering purchasing a Knights Cross (or a higher grade), this book is the next best thing to having an experienced expert at your side as you consider your various choices. And if you are not thinking of buying a Knights Cross (or a higher grade) but are interested in the award, this book will tell you everything you could ever want to know. A "must have" for every serious collector of the Order of the Iron Cross and a book that has become "The Book" since its publication in November 2007. Over 400 pages with over 500 color pictures.